With two year old twins and a five month old, its pretty much a constant state of chaos in our household. 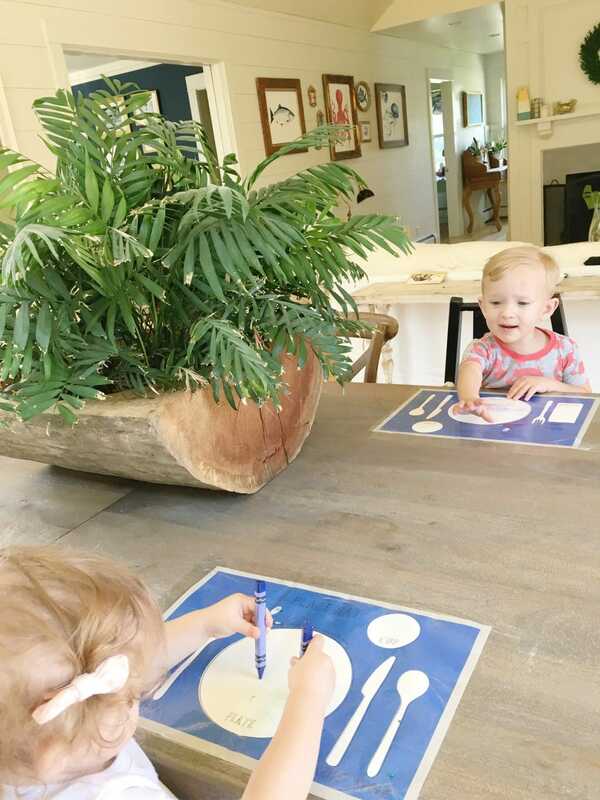 I’m always looking for simple, CLEAN activities to keep my toddlers entertained. 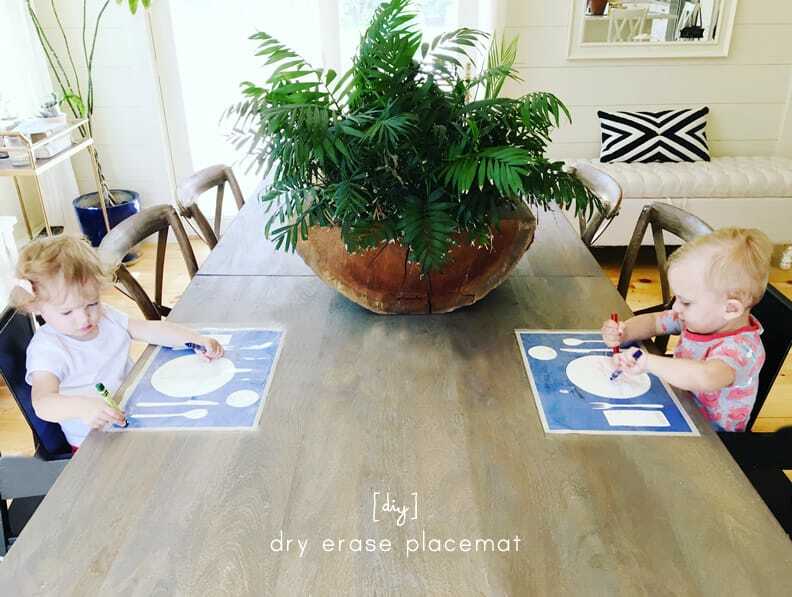 They LOVE to color, but somehow it never ends up on the paper, and I don’t love cleaning crayon off the sofa and walls….so we came up with a simple idea for DIY Dry Erase Placemats that they absolutely LOVE! 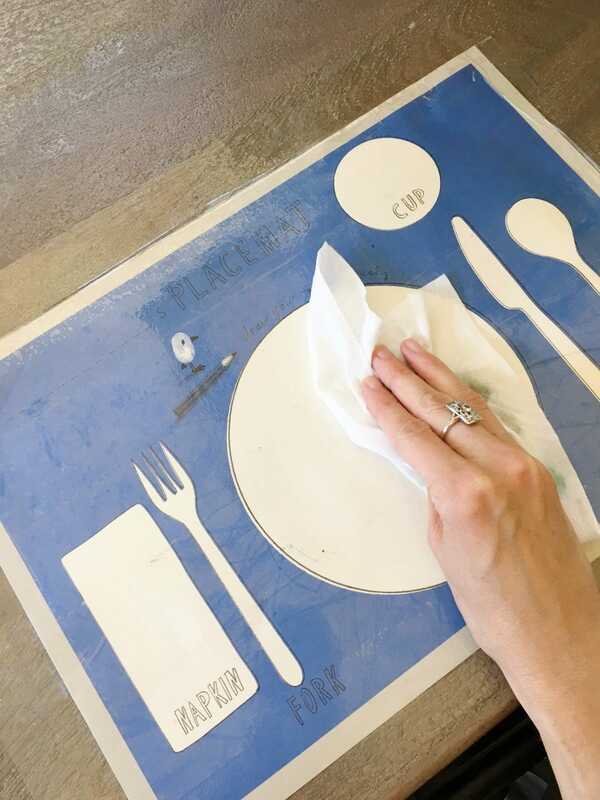 I’m all about keeping things fun AND simple, so my favorite part about this toddler activity is that it’s super MOM friendly and cleanup only takes a minute! 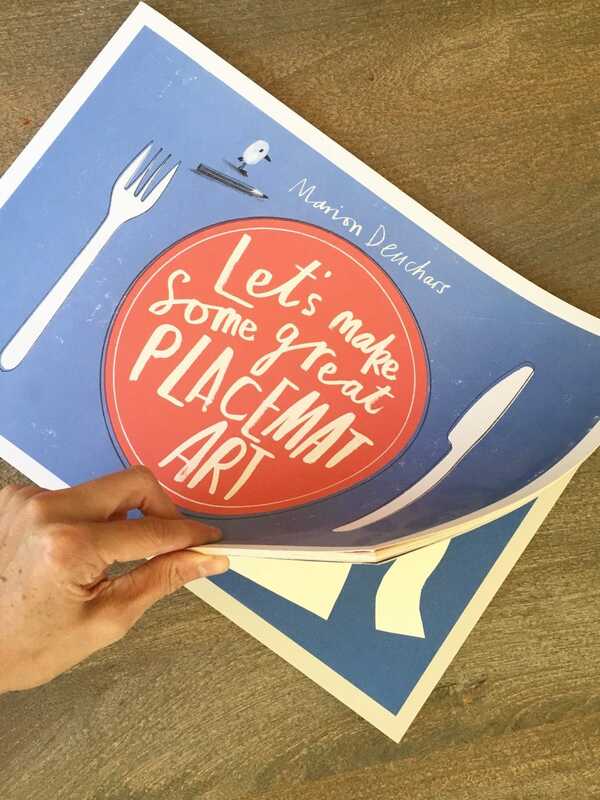 First, I started with a paper placemat. If you don’t have that you can use construction paper, coloring book pages, or just about any kind of paper! Next, I covered the front of the paper in clear packing tape. This is what makes it re-usable and erasable! 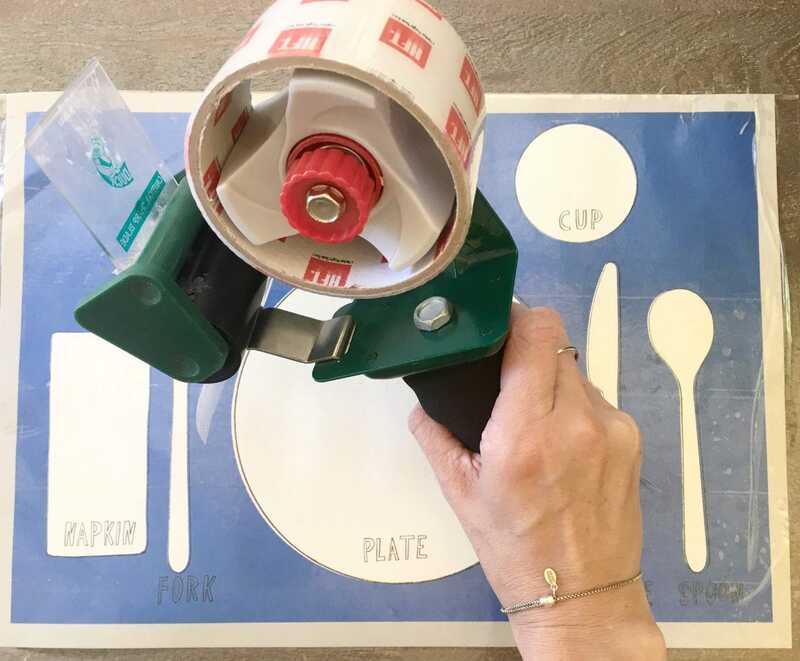 Next, I taped it to the table, which is key for messy toddlers and moms who have to pick up dropped paper every 30 seconds! 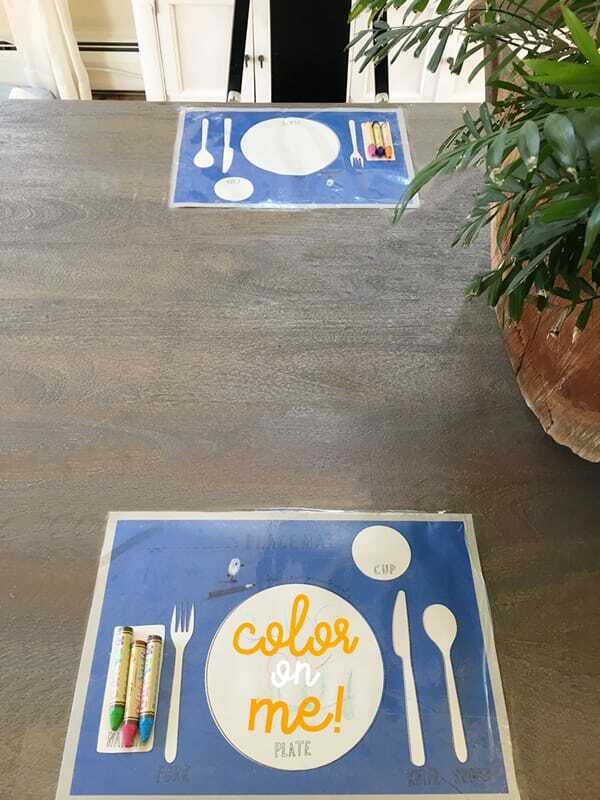 Now the placemats are ready to color! Simply use a cloth to remove the crayon at any time!